Timanfaya National Park or Parque Nacional de Timanfaya is a Spanish national park covering the municipalities of southern portion of Tinajo and the northern portion of Yaiza in the southwestern part of the island of Lanzarote. The area is 51.07 km(2). The parkland is entirely made up of volcanic soil. The greatest recorded eruptions occurred between 1730 and 1736. The volcanic activity continues as the surface temperature in the core ranges from 100 to 600(o)C at the depth of 13m, which is demonstrated by pouring water into the ground, resulting in a geyser of steam which is an attraction for tourists. In 1993, UNESCO granted the qualification for the Biospherical Reserve. The statue "El Diablo" by César Manrique is its symbol. The park is open to the public, and conducts tours of the volcanic landscape by coach. 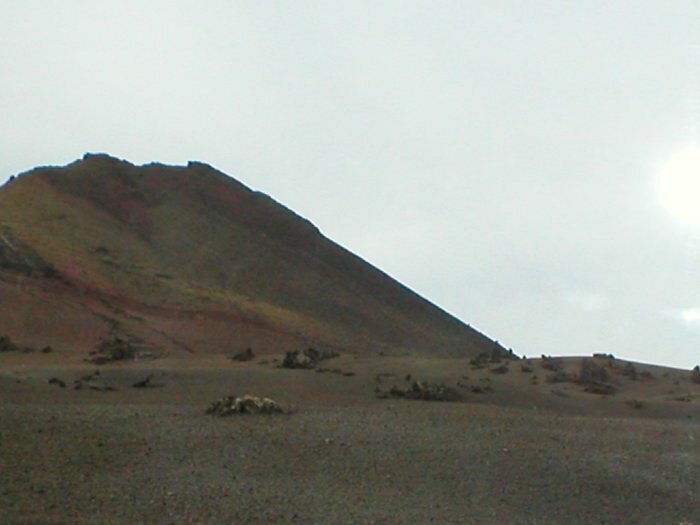 Timanfaya is one of the best examples of a volcanic habitat sparsely vegetated and inhabited by rare species that feed upon organic matter carried by the wind. This singularly beautiful park is a living laboratory of scientific, geologic and geomorphologic interest. 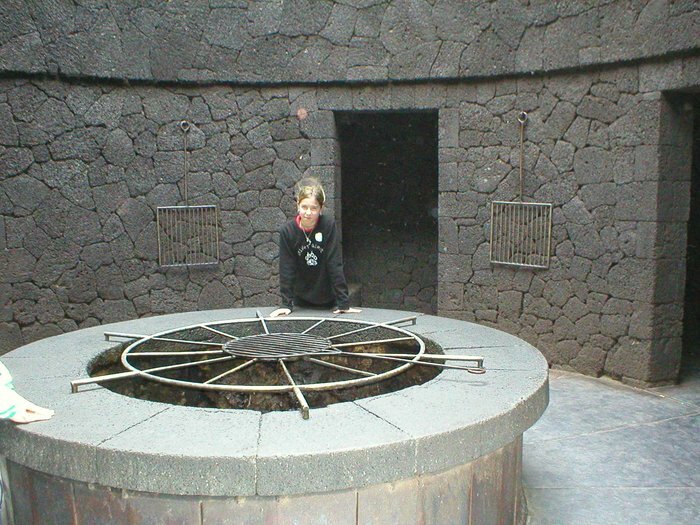 A tour guide will take you across the volcanic landscape and will show you its geothermal anomalies. 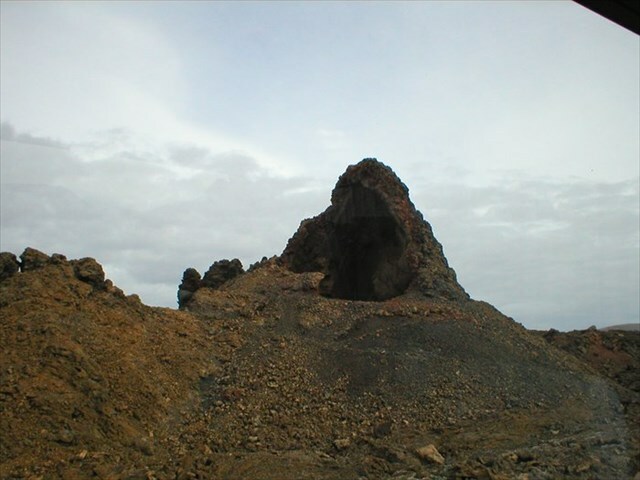 The National Park of Timanfaya is a volcanic field where visitors can appreciate a great variety of geological phenomena as well as a large biological mix of some 180 different plant species. In this impressive habitat where human presence has been practically nil, the park serves as an authentic laboratory for biological research. The park has a spectacular lunar aspect with different tones of ochre and grey. This region was devastated by intermittent volcanic eruptions over a six year period, 1730-1736, and again during the XIX century, mainly in 1824. Thermic anomalies are amusing for the visitors to watch a bit of water introduced in a hole on the ground becoming a geiser of boiling steam in seconds, due to a magmatic camera situated three kilometres deep down that reaches from 100 to 200 degrees centigrades on the surface. The restaurant El Diablo serves specialities of the island grilled over geothermal heat. 1. What are the geological material the forming the area? 3. How did the name El Diablo come to be? 4. In what geological era was the hill formed? 5. What is hole's diameter the bigest vulkan? 6. 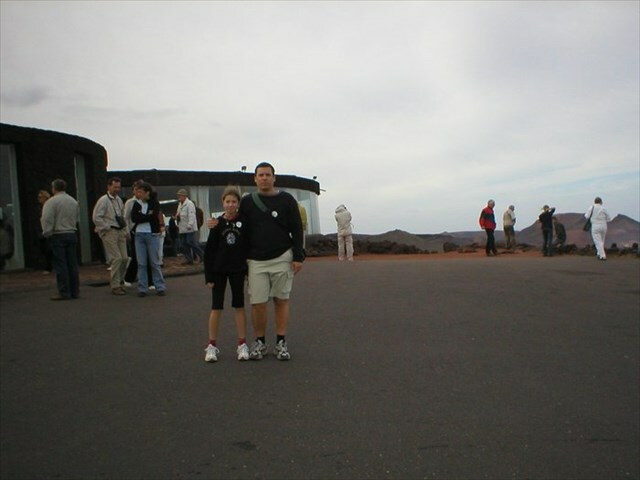 What is the total area space Timanfaya National Park? Lanzarote, a Spanish island, is the easternmost of the Canary Islands, in the Atlantic Ocean, approximately 125 km off the coast of Africa and 1,000 km from the Iberian Peninsula. Covering 845.9 km^(2), it stands as the fourth largest of the islands. The first recorded name for the island, given by Angelino Dulcert, was Insula de Lanzarotus Marocelus, after the Genoese navigator Lancelotto Malocello, from which the modern name is derived. The island's name in the native Guanche language was Titero(y)gaca, which may mean "the red mountains". 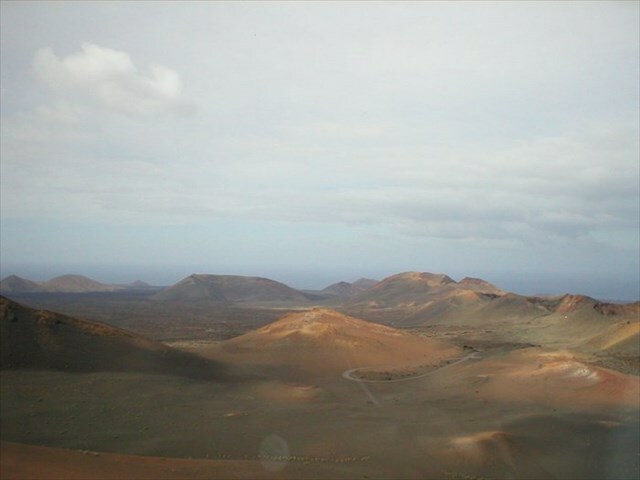 Lanzarote is situated at 29°00' north, 13°40' west. 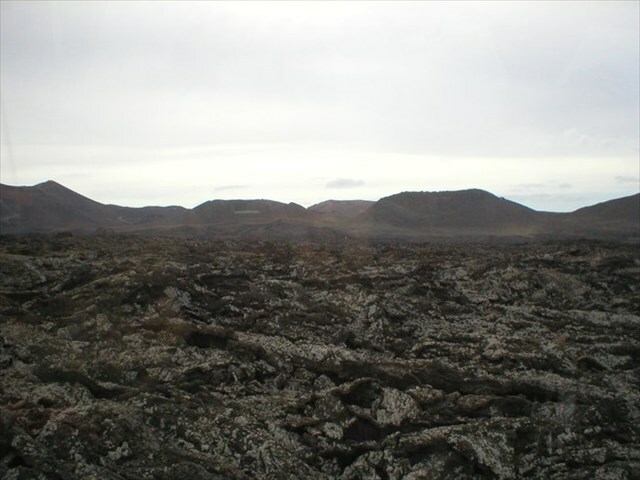 It is located 11 kilometers north-east of Fuerteventura and 1 km from Graciosa. The elongated island has an area of 845,9 km(2). The dimensions of the island are 60 km from north to south and 25 km from west to east. Lanzarote has 213 km of coastline, of which 10 km are sand, 16.5 km are beach, and the remainder are rocky. 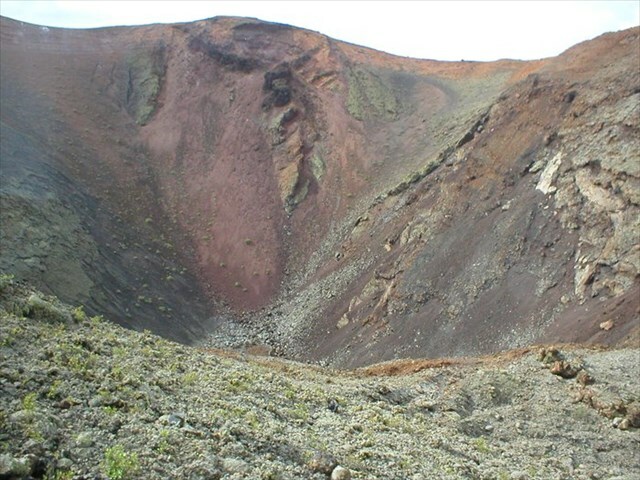 Lanzarote is of volcanic origin. The island was created about 35 million years ago by the Canary hotspot. Alfred Wegener arrived in 1912 and studied the island and showed how it fitted in with his theory of continental drift. The island along with others was created after the breakup of the African and the American continental plates.